+Jerrod Gunning hosted another excellent Google+ Hangout on Air in which I had the opportunity to be a part of a panel that included +Ron Blessing of The Game's the Thing, Smiling Jack's Bar and Grill, and RolePlay DNA, and +Robert Brumbelow. 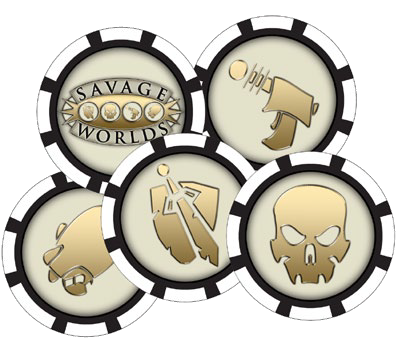 The topic for this chat was bennies in Savage Worlds and the variety of ways we use them in our own games. It was a blast, and I really enjoyed talking Savage Worlds with the group. There were a quite a few ideas mentioned by all of the participants that inspired me as well, and I think I'll be adopting a few of them for my own games in the future. I also talk a little bit about Prophecy Shards in the beginning and toward the end.